If you've been following Tracy on Instagram this past year, you will have seen all the doodling she does, usually when she is on holiday somewhere! As with all of our designers who hand-draw their stamps for us, often their Instagram accounts and their doodling gives you a hint of what to expect from their new releases. 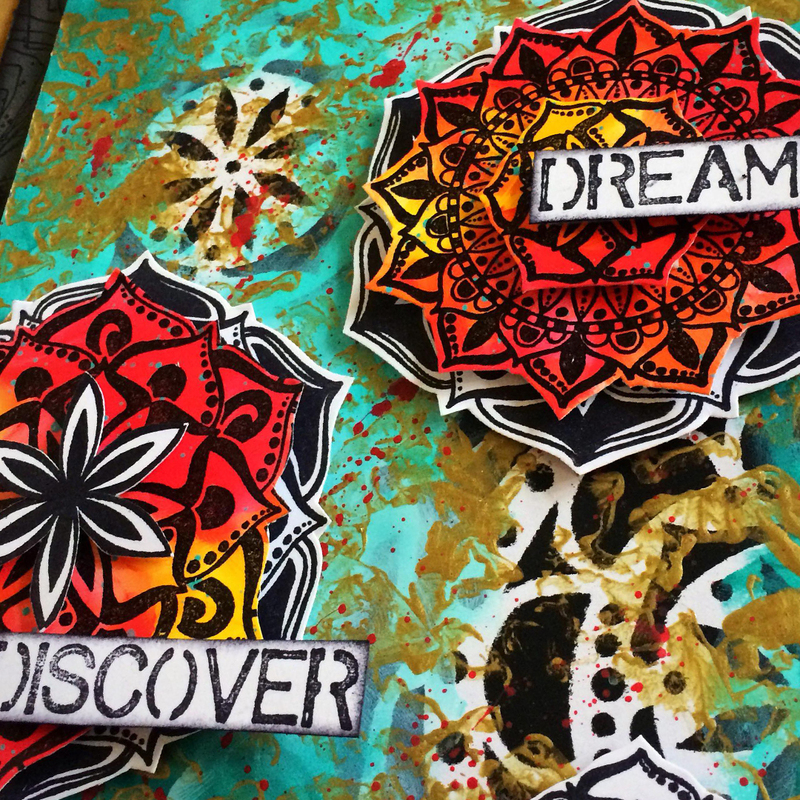 Mandala style patterns have been very prominent in Tracy's holiday doodles, and this vibe is certainly reflected in her latest stamps and stencils. 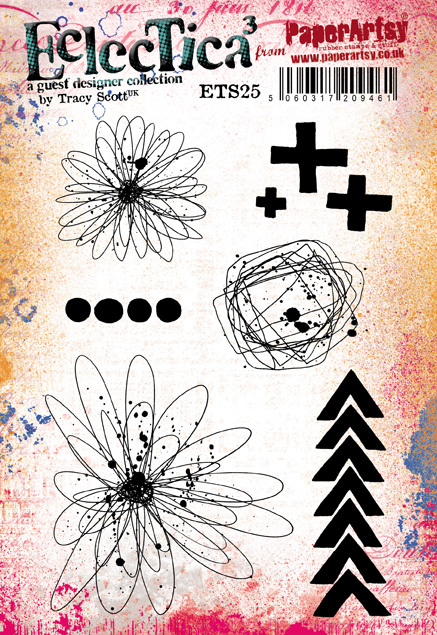 She also has added to her popular scribbled style, with contrasting bold and line stamps and other geometric elements to build layers with ease. So there is much to like about this release! 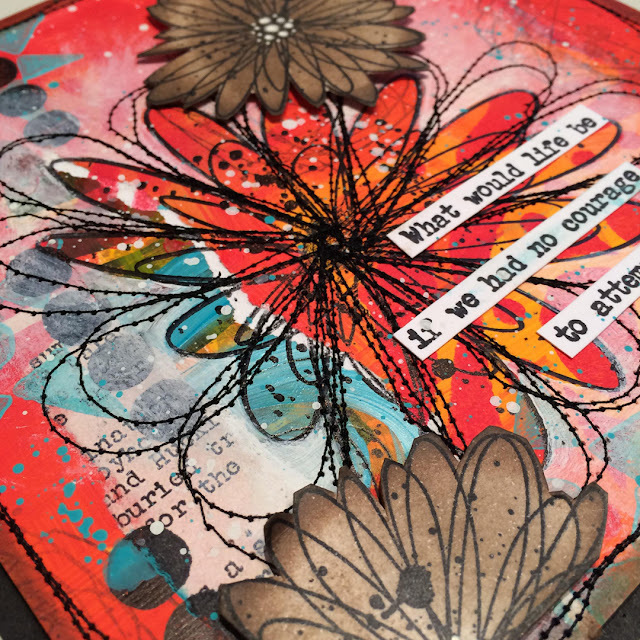 I'm super excited to share with you my newest release for PaperArtsy. 3 stamps and coordinating stencils. Most of you will be aware but for those who are new to me, and my arting style, may need to know that I love to add doodled elements in my work. Interesting shapes, patterns, drawn elements, scribbles, splatters all make regular appearances in my journals and I'm constantly asked if these are stamps?.... so of course these sparked the idea of creating some of my favourite elements into stamps for everyone to use. 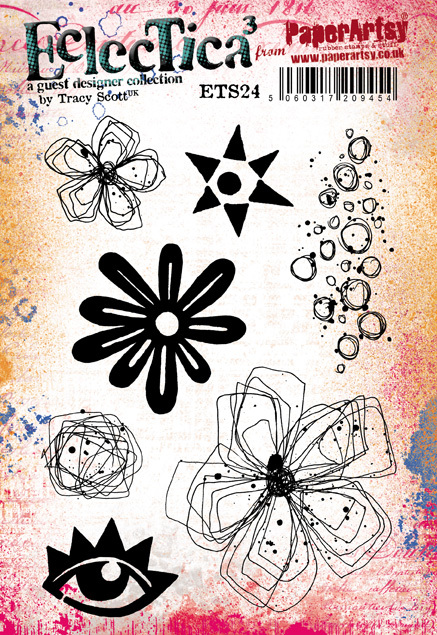 Now although I frequently work in my art journals I think I have designed a range of stamps that can be used in all of your art and craft projects, from scrapbook layouts to cards, and mixed media projects to ATC's and I cant wait to see what you come up with for the new releases. Over the next couple of days, we will be sharing ideas with my newest products by myself and 2 of PaperArtsy's lovely talented bloggers. You can also see ideas on Instagram, Facebook, Twitter, Pinterest. So no matter what your preferred social media platform, we will be sharing with you! Happy New Year! One of my favourite things to do, particularly when I am on holiday or a little trip away is to draw mandalas (go check out my instagram @tr4cy1973 ), I find the very practice relaxing and just love to see how each one emerges from the blank page. It was inevitable really that they would make an appearance in one of my stamp releases. I just know that this stamp set will be perfect for my beloved art journals but will be equally at home in all of your art and craft applications. These stamps are no exception; scribbly elements mixed with solid designs taken from my own hand made foam stamps, I adore the contrast that I get between the two..... and just look at that 'eye'..... one of my favourite images of all time and it just had to be included in one of the sets. Ok so who doesn't love a flower?.... well we all know that I do and scribbled splatty flowers are simply the best kind aren't they?. Continuing the theme from ETS25, I just couldn't stop myself at only one set of these scribbled beauties (to be honest I probably could have made countless sets its so easy to get carried away in this carefree style!) All of these elements in both of these scribbled sets will work effortlessly in my journal but will be equally at home on cards and scrapbook layouts as well as all other arts and crafts, mixed media applications. Ok moving onto stencils, well we've already established that I love a mandala, but one of my other passions at the moment is paper cutting in my journal, and if you saw my last release of stencil/masks you will know that these evolved from my hand cut designs. (again lots to see on instagram about my classes). 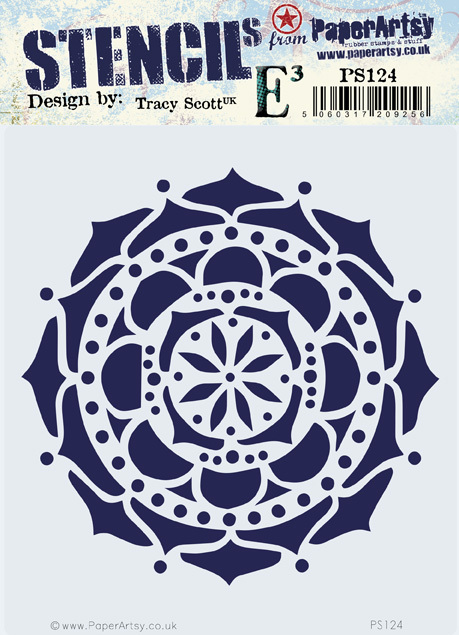 Well this release is no different and my new designs including this fabulous mandala design were hand cut pieces that have then been turned into stencils. In the project above I have used in the traditional way and stencilled the image directly onto my card but I also envisage this being used as a template for cutting your own designs in journals and on cards alike! This fabulous stencil/mask was designed to match perfectly with ETS 24 and a square scribbled flower, however in the project above I have stencilled in multiple colours and haven't used the entire mask so that I was able to create a beautiful sunburst effect. All products should be have multiple uses and I try my best when designing to envisage other ways to use them other than the obvious intended purpose. What other uses can you see for this product? What do you see?..... a beautiful scribbled flower or fabulous extended eyelashes? I love the adaptablility, and for this project I actually used the mask as a template, drawing it out onto the yellow/orange painted card and cutting out with my scissors and a craft knife giving a different look again than the usual stencilling process, and allowing it to really stand out against the darker background. This stencil/mask coordinates perfectly with ETS25 but I really can see this and the square scribbled flower mask being a great addition to be used on scrapbook pages where larger elements may be required. 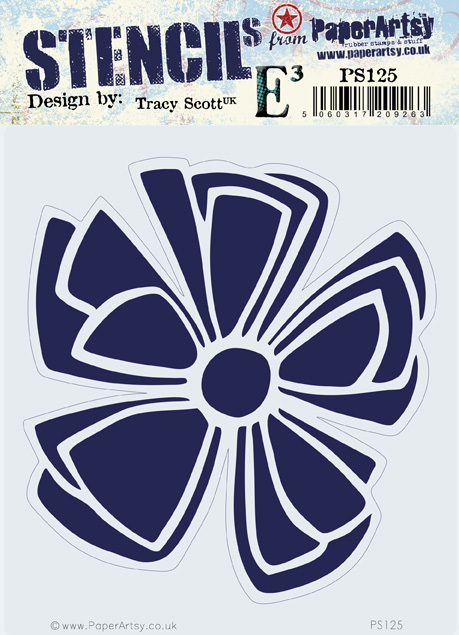 Why not try this easy and simple to create stamped and painted mandala using the ETS23 stamp set. Once this was dry, I began adding my stamped elements to my painted circles to create a pattern. To finish I used my black and white pens to add highlights and doodled elements to fill in the spaces and add detail. So many possibilities with this project and so fun to make.... go try it today. 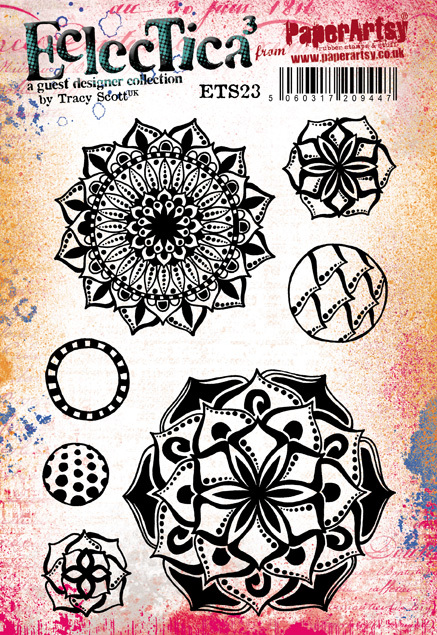 How about these layered mandala elements that can be used in all of your crafting projects, they would be equally beautiful on a card or scrapbook project as well as making an appearance on an item for home décor or in a journal, and so easy and simple to make. I started with 2 pieces of 240gsm A4 smoothy card, one of those pieces of card I painted in a mix of Cherry Red, Smoked Paprika & Tangerine Twist (obviously you can use your favourite colours!) and the other I left white and unpainted. I then layered up the elements with 3D foam and added a stamped word to create interesting focal points ready to be added to my future projects. 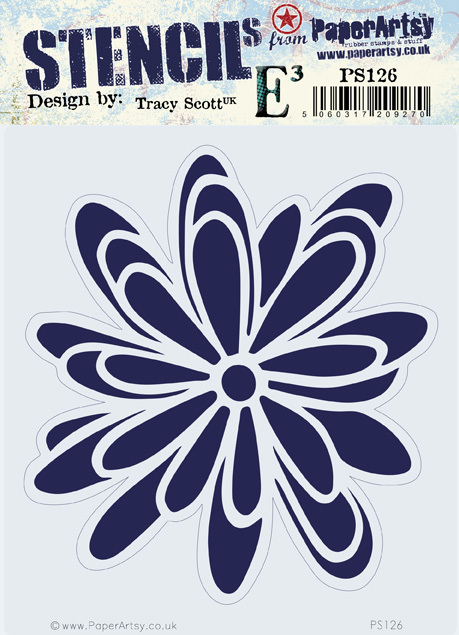 Easy to create and lots and lots of variations by cutting all or parts of the stamped images. I had an absolute blast creating these samples for you today and I do hope that you have enjoyed popping over to see my new releases, and the post has left you full of inspiration and ideas for your own upcoming projects. If you do create projects with my stamps and stencils I do love to see them and you can find me of the social media sites below (I am always contactable to please do not hesitate to show me your work. Thank you for stopping by and don't forget there will be more samples to follow in the next day or so, so please do come back soon. I love your doodle-y style Tracy, and the samples are stunning! Great stamps - definitely so versatile - and your samples are gorgeous with all those rich contrasting colours and the sense of movement and joyous spontaneity. Love them! LOVE at first sight!!! These are an art journalers dream!!! 😍😍😍 Amazing release. Amazing creations, lots of vibrant colours and love the new scribbly stamps. Fabulous inspiration, thank you x. Simply gorgeous new designs and samples Tracy! Love your colours too! Wow, these are stunning Tracy, so vibrant colours and patterns.